Last time we talked about what an integral role trust plays in the buying process. Think about it. Would you rather do business with someone you trust or someone you don’t? Buying a car is one of the biggest purchases most people make in their lives. It can be scary, but if you’re working with a trusted advisor, that fear melts away. 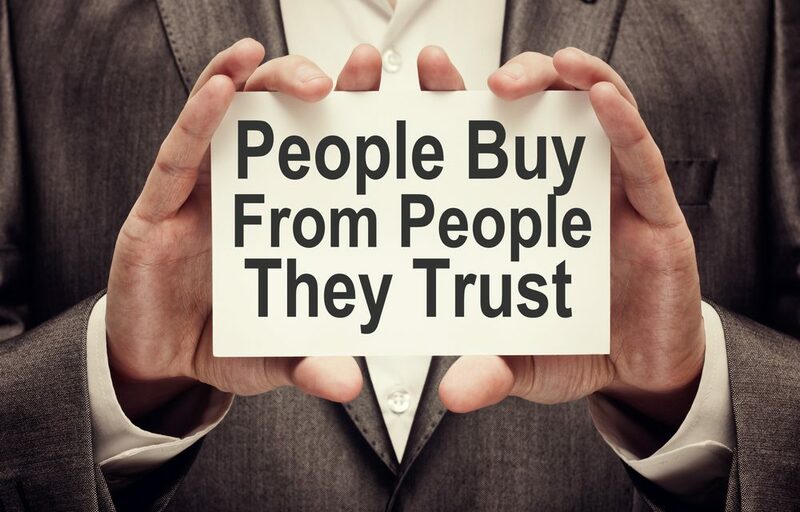 That’s why you must start building trust with your current and future customers before they ever step foot in the showroom. Here are the most important “trust triggers” you should incorporate into your business. Taking advantage of these will put you on the path to becoming a trusted advisor and the leading automotive expert for your community. GIVE VALUE UP FRONT—In order to get people to know, like and trust you, you must deliver value first. Providing free information in a report format is a great way to give value first. People are constantly seeking information, especially when it comes to big purchases. When you provide the information they need, they’ll begin to see you as an expert. Providing value up front makes your customers feel good about you! Speak at local conferences or chamber of commerce meetings. Become an industry authority and a leader that local media outlets can rely on. UNEXPECTED RANDOM ACTS OF KINDNESS—Pleasant surprises lead to trust. Implement systems that allow your employees to surprise your customers with “extras”. Be determined about it. Make it a reliable and foolproof process. One way to go the extra mile for your customers is to have salespeople present gift cards to those who traveled long distances to visit your dealership. Remember birthdays and anniversaries and send a card for a free oil change. Surprise them with a thank you card whenever they do business with you or refer a friend or family member to do business with you. Exhibit your attentiveness. COMPETENCY AND SUPERIOR SKILL—Remember that your customer might not understand how confident and how skillful you may be, so it’s very important to demonstrate your knowledge and accomplishment. Back up your claims with facts and statistics, reviews, certifications and awards won. Tout your achievements and how that translates to a better experience than anywhere else for your customers. BEING STRAIGHTFORWARD—The “straightforward” concept is opposite of what a lot of people think marketing should have—hype! But, when it comes to trust, the straightforward approach is going to get you closer to your goal. Avoid clichés. Be direct and specific in what you say. Make your offers relevant. Back up your offers and data with social and analytical proof. Stay away from the “hype” and reap the rewards. Learning how to attract and retain customers is the only way to create a successful business, and building trust is an important step toward gravitating people directly to your door. Make sure your team is chock-full of service-minded problem solvers. Give your customers a reason to choose you other than just price. Build their trust to build your business. Check back next time when we’ll reveal the final four ways that you can build a culture based on trust in your dealership.